You got the perfect picture frame, and you’ve placed your art in it, and it looks amazing. 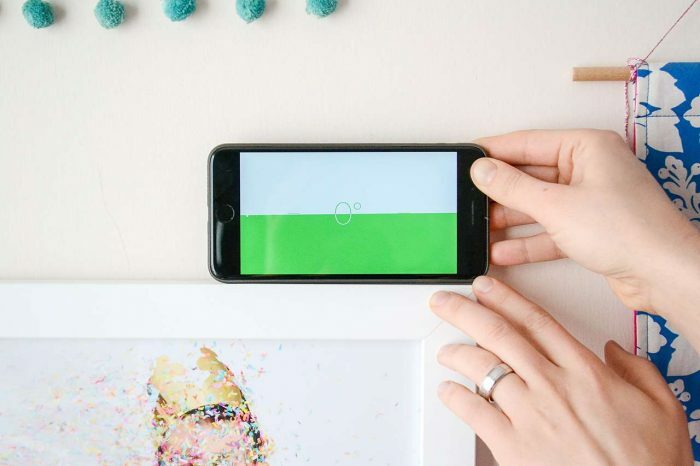 But, unless you want to place your frame on a countertop with an EaselMate™, the photo won’t serve much of a purpose unless you get it displayed up on the wall! Not all hanging hardware is created equal, especially given all the different shapes and sizes picture frames have these days. For example, a large wood frame shouldn’t have the same hardware as a small metal frame. 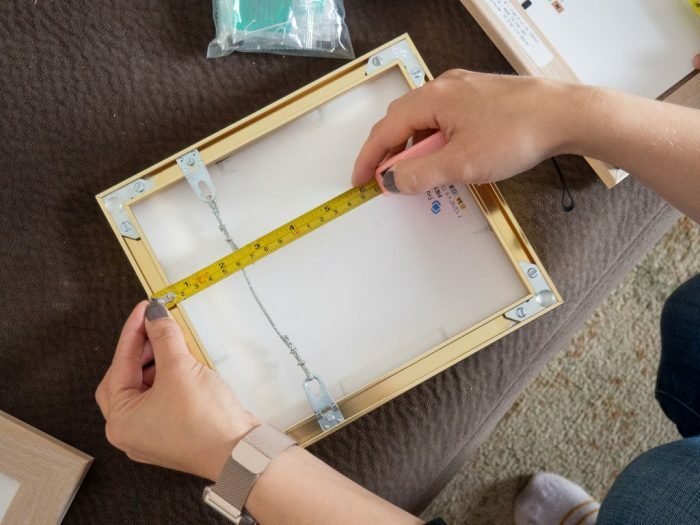 Ideally, any picture frame you purchase will come with the proper hanging hardware needed for that particular frame, but Artists Network has a great guide if you want to learn more about the different types of picture framing hardware. Here at Frame It Easy, we include appropriate hanging hardware with each assembled frame, and we make sure to attach any additional supports that might be needed for larger frames. Framing 101 is that you have to be able to see your art to enjoy it, and if it is too high, too low, too close, or too far, it can be difficult to view. Especially if you’re creating a gallery wall with multiple frames, hanging everything too close together can make it look busy, just as making everything too far apart can make it look disconnected. While it ultimately comes down to personal preference, plan for picture frames to be hung at least 1” apart from each other, and if you’re framing above furniture, make it at least 3”-6” above it. The “Did you plug it in?” equivalent of framing, this is perhaps the simplest yet most important thing you can do when hanging a frame. Whatever hardware you use or how well-spaced it is, you’ll likely be dissatisfied if your picture frame is crooked. A way to make sure you always have level frames is to equally distribute the weight between both sides if you are using a hook and nail to hang your frame. A good way to see if there is even distribution of weight between both sides of your frame is to use a ruler — measure to see that your nail will be as close to the center of the frame as possible. For more tips, check out our post on how to keep your frame hanging level. 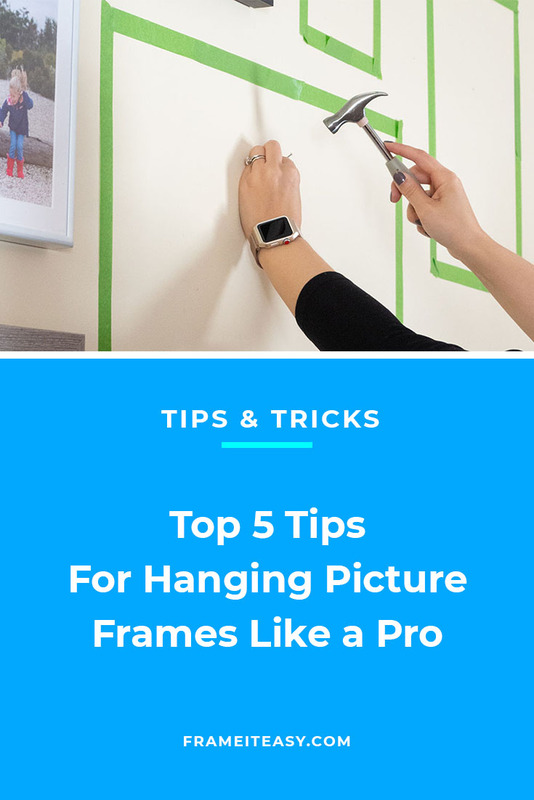 Another good tip is to make sure you pull the hanging wire up toward the top of the frame before measuring, as this will help mimic the “give” it will have once the frame’s own weight pulls on the wire & nail. 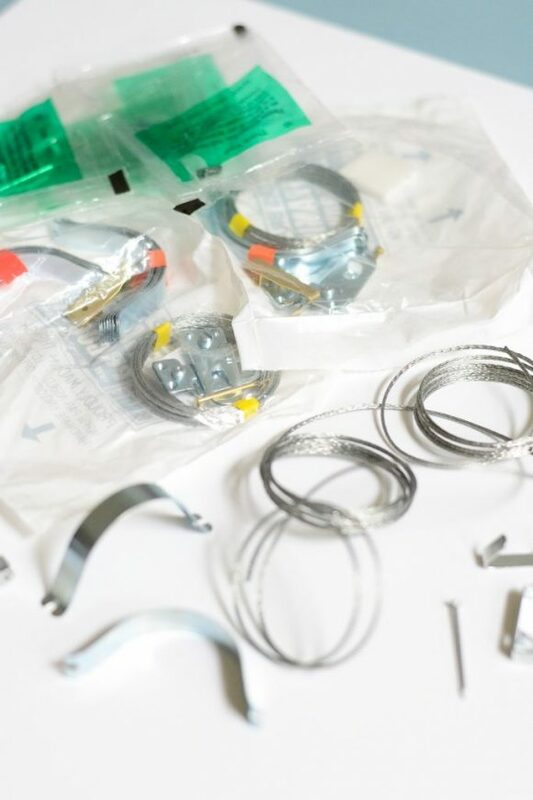 If you order a metal frame from us here at Frame It Easy you can adjust the hanging wire tabs up and down the back of the frame rail by loosening a half-turn with a screwdriver. Our wood frames, however, cannot be adjusted, as we screw the hanging hardware right into the frame to save you an extra (laborious) step. Because of its versatility, painter’s tape is our favorite tool to keep in our home decor arsenal. From measuring to blocking, it can be used in a variety of ways to turn you into a picture hanging hero. If you don’t have a measuring tape or don’t trust your eye when it comes to such things, you can always use painter’s tape to measure your art as noted in tip #4. Essentially, you just take a piece of painters tape, put it on the back of your frame and use that as a measurement to see how far the D-Rings are from each other. Then, simply place the tape on the wall, and hammer the nails in correspondingly. 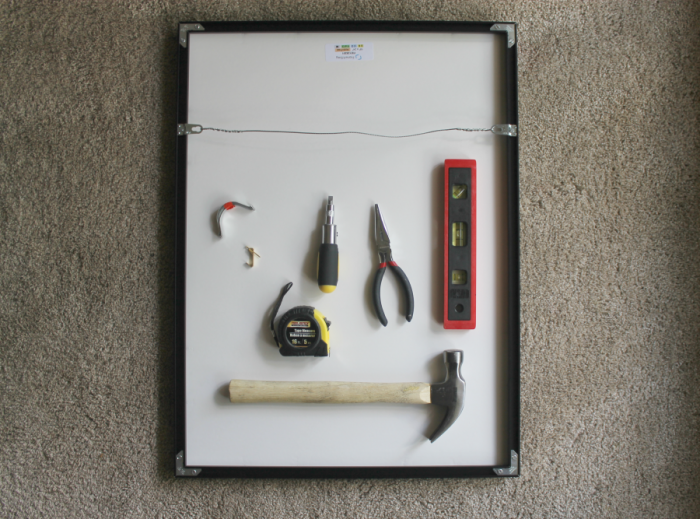 You can also use painter’s tape to block out or plan where to hang your frames. A level frame is a happy one. Make sure it’s not tilted. You can use painters tape to either measure or plan how you’re going to display your frames. Make sure you’re using the proper hardware. Don’t make everything too close OR too far apart. Hanging your art is often the final part of your framing journey, where you get to see the culmination of all your planning and measuring. 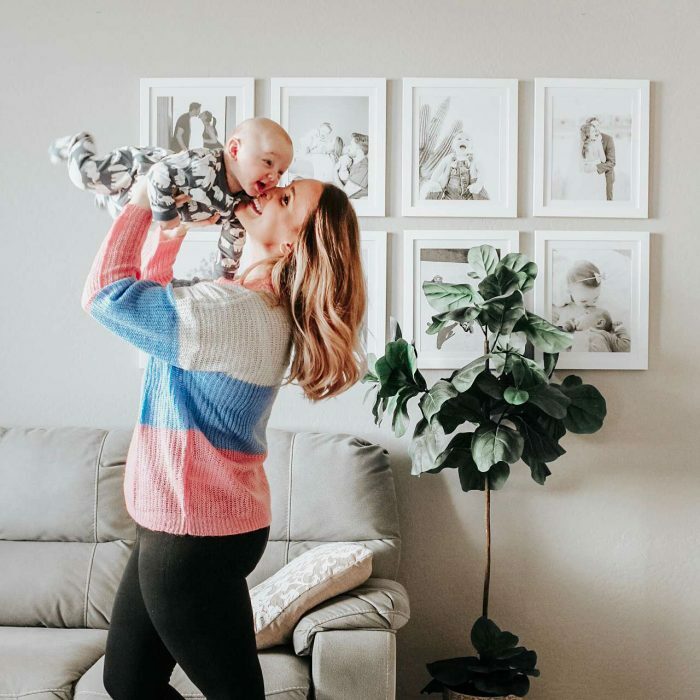 It’s when you get to make your home just a little more your own, so taking a few extra minutes to make sure your frame is hung perfectly will allow you to enjoy it for years to come.